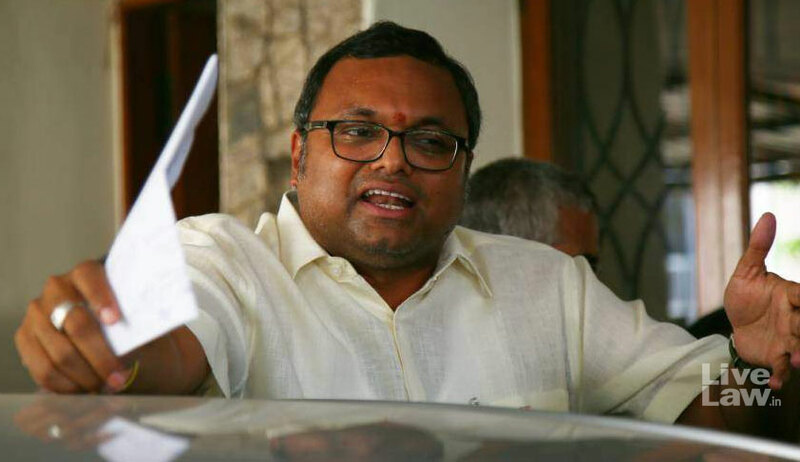 Karti Chidambaram, son of former Union Finance Minister P Chidambaram, has been remanded in one-day CBI custody by a Delhi court in the INX Media case. Karti was arrested by the CBI from the Chennai airport early during the day on his return from London and brought to Delhi. Appearing for Karti, senior advocate Abhishek Manu Singhvi told the court that his arrest was motivated and refuted the CBI’s submission that he was not cooperating in the case. Singhvi also submitted that Karti has no connection with Strategic Consulting Pvt Limited which allegedly received kickbacks and that he has always been cooperating with the CBI and the ED. He also submitted before the court that “I am not a ‘Hindustan leaver’, I am Hindustan returner”. INX Media allegedly received approval from the Foreign Investment Promotion Board (FIPB) for Rs 4.62 crore investment but received Rs 305 crore by sale of shares at a premium of Rs 800 per share instead of Rs 10 as mentioned by the company in its application. The ED had claimed that Chartered Accountant S Bhaskararaman has been assisting Karti in managing the money received through illegal means. Bhaskararaman had been arrested on February 16 by the ED.